Purchase Contract - Get ready to receive offers for your home. Eventually an offer will come from a buyer. In hot real estate markets there are often multiple offers from multiple buyers. Every contract that is presented might be different as far as terms and closing time. You (the sellers) will accept the best offer that fits your needs. In some cases this might be a shorter closing time, or you might accept the offer that has the highest price. There is no such thing as a verbal (oral) offer, or a handshake offer. All legal purchase offers in real estate are written contracts. As an agent, I get verbal offers all the time. I always make the other agent write the offer. It takes a few seconds to make an oral offer, and of course it is not worth anything. I will be there to advise you to common pitalls from contracts that look too good to be true. For example, some buyers will use contingencies to get out of a contract. I will teach you what to look for in a good offer and what to avoid. 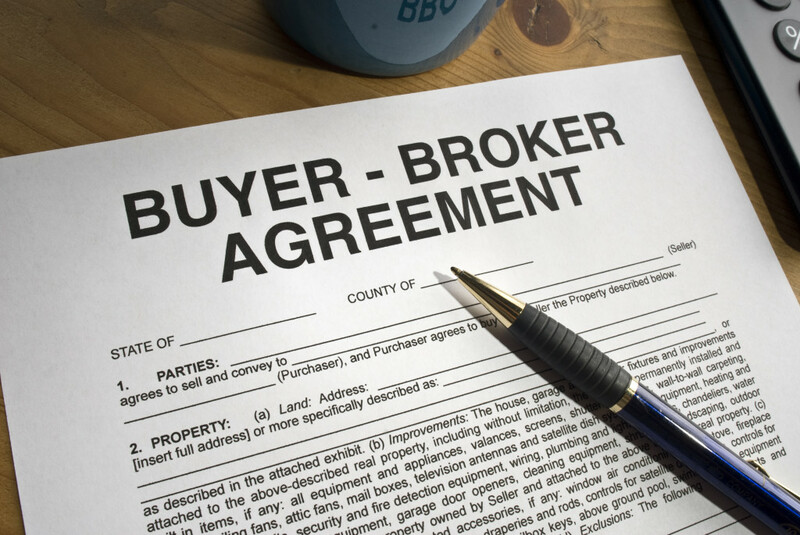 The majority of purchase agreements are conditional—that is, they have contingencies. Although the most common contingency in a purchase agreement may be financing, others include appraised value, marketability of title, sale of the buyer’s property, and various disclosures and inspections. Making counter offers can be tough. You don't want to lose an active buyer, but you also do not want to leave money on the table. Money you need to buy your next home. I have years of experience with counter offers. The following is an example of a common counter offer mistake that will cost you thousands of dollars. Setting a firm minimum counter price is a big mistake that some sellers make. Here is an example. You are asking $850,000 for your home, but you will accept $825,000. An offer comes in at $800,000. It's lower than your acceptable price so you counter the buyer with your minimum price of $825,000. You just painted yourself into a corner, and it will be hard to get out. You countered to your minimum price because you don't want to lose the buyer, but in reality, you have just scared the buyer. the buyer is now thinking, "Why did the seller lower the price so much? Is there something wrong with the house?". The buyer then counters again to $810,000. What can you do? Not much really, you can offer state that you are firm at $825,000. What if the buyer was willing to go higher than you minimum price. Unfortunately, in this mindset, you box yourself into a limited deal. You want to be flexible when negotiating. A better counter to the $800,000 offer would have been to come down a little to maybe $840,000. This tells the buyer that we are willing to negotiate, but we also do not want to give our house away. If the buyer counters back to $810,000, We might not working with the right buyer. They seem to be trying to get your house well below value and will probably only come up a little more. It is rare to see a small raise in offer price, followed by a larger offer increase. Normally, offers get smaller and smaller as the buyer makes more counters. We will save time and money if we focus on other offers that have a better potential. What if the buyer counters our $840,000 offer with an $825,000 offer. They have now hit a lower price and we have more room to negotiate. There counter also tells us that are serious and probably do not want to lose this house. At this point we can ask for more money, a faster close, or fewer contingencies. As you can see we have a lot more options and you will make more money to put towards you next home. A contingency is a statement or stipulation that is added to your contract that will allow the buyer the right to back out of the deal without penalty under specific circumstances. This is one of the most common types of contingency. Basically, it says that the offer is contingent on you being able to procure financing for the property. It will often be specific about the type of financing (FHA, Conventional Loan, etc), the terms (interest rate, down payment, etc), and the time period. The appraisal contingency is usually implemented by a third party hired by the lender to evaluate the fair-market value of the home. In the instance the appraised value is less than the sale price, the appraisal contingency lets you back out of the deal. In hot markets, eager buyers might feel pressured to waive it, but they could end up paying more. However, the lender will only put up a certain amount of money for the appraised cost—not the asking price—and the buyer will have to cover the rest. A home inspection contingency could well be the most important one. It gives the buyer the right to have the home professionally inspected. If something is wrong, the buyer can request it be fixed or they can back out of the sale. It’s rarely advisable to waive an inspection contingency. If the buyer does not meet certain obligations provided for in the contract, such as making a deposit, providing a preapproval letter or signing a receipt for uninsured deposit; the seller may cancel the agreement and return the buyer’s deposit. When a real estate purchase agreement or contract is executed and the terms are accepted by both parties, it is a complete and binding document. Should it become necessary to change any aspect of the previously agreed-to terms, an amendment is prepared. It is a document that makes a change to the ratified contract. An example would be when a buyer and seller agree on the purchase of a piece of property and the contract is signed by all parties. Later, the closing date needs to be moved out to allow for a delayed survey. This would require that the closing date in the original agreement be amended. As you can see, amendments can sometimes cause conflict during the closing process. Time, price and repairs are common amendments on real estate contracts.